While sentiment in the oil market remains bullish, analysts cannot seem to agree on crude's next big move. Oil prices hit $70 per barrel for the first time in more than three years on Thursday. The last time Brent traded that high, prices were falling off a cliff after the November 2014 OPEC meeting left members producing without restraint, leading to a global glut of supply. The next steps for oil are unclear. Market sentiment is decidedly bullish, but speculators have piled into extremely bullish bets, which exposes the market to a correction if the upward momentum starts to sputter. 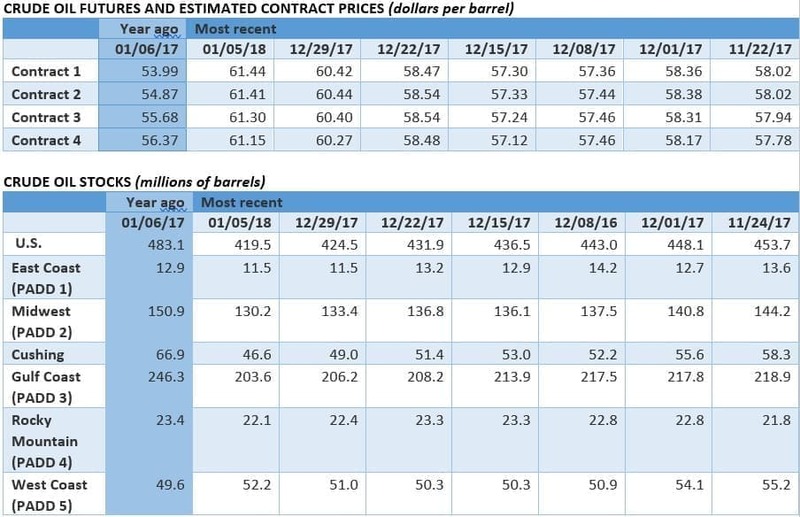 EIA: U.S. oil production to top 11 mb/d by end of 2019. 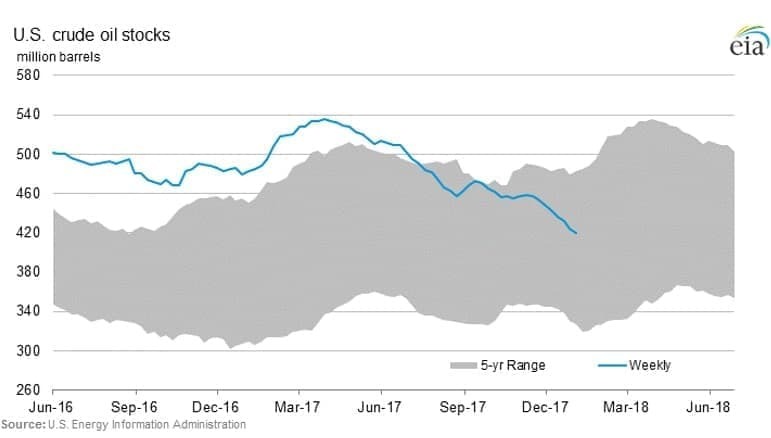 The EIA sharply revised up its forecast for U.S. oil production this year and next, predicting average output of 10.3 mb/d in 2017 (up nearly 300,000 bpd from last month’s forecast) and 10.8 mb/d in 2019. By November 2019, the EIA says, the U.S. could hit 11 mb/d, surpassing Russia as the world’s largest producer. 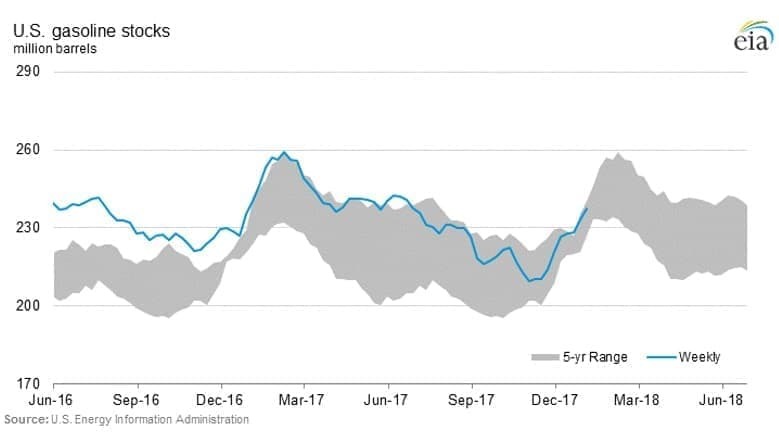 The strength of U.S. shale is one of the main bearish factors looming over the oil market, but it remains to be seen if shale drillers can achieve such lofty production levels. Trump declines to re-impose sanctions on Iran, for now. The New York Times reported on Thursday that President Trump has declined to fully scrap the Iran nuclear deal, but will issue a deadline to Congress to come up with a solution. Every three months the president needs to issue waivers on sanctions on Iran, and with a deadline imminent, many analysts expected Trump to take the drastic move of declining to issue the waiver, which would have likely led to new sanctions and a return to confrontation between the U.S. and Iran. It appears that he will not go that far, yet. The NYT says he will issue a deadline for Congress to “improve the deal” or else the U.S. will scrap the deal. 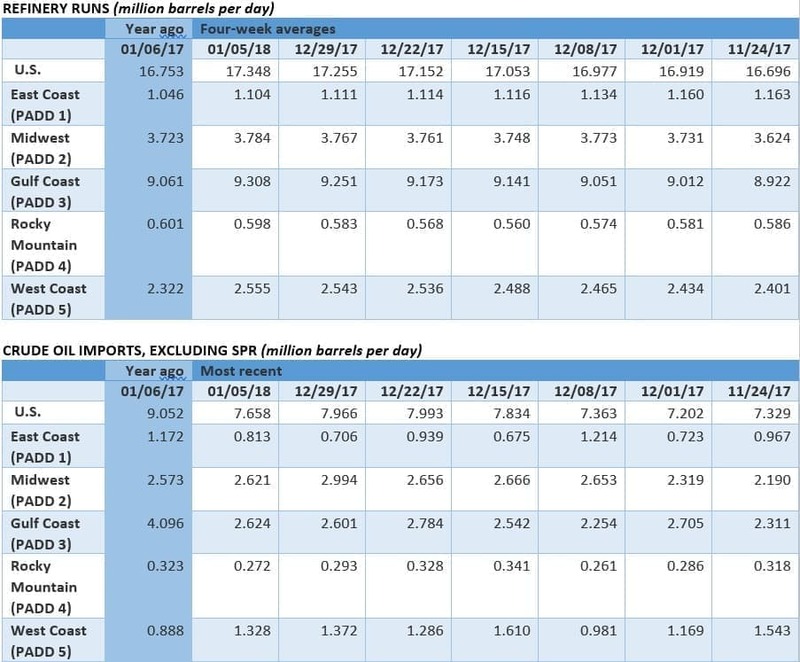 Oil analysts have projected U.S. sanctions could threaten several hundred thousand barrels per day of Iranian oil production, but unilateral action from Washington won’t be as effective as the coordinated international sanctions from years ago. Fuel economy in the U.S. hit a record high for model year 2016. New government data shows that new cars made in 2016 hit a record high fuel economy, averaging 24.7 miles per gallon. It was a slight uptick of 0.1 mpg from the year before. In 2017, the average fuel economy is expected to have hit a new record of 25.2 mpg. This comes as the Trump administration has made some early moves to weaken long-term fuel economy standards. Trump admin removes Florida from drilling plan, sparking uproar. A week after releasing an aggressive offshore drilling plan that proposed to open virtually all of the U.S. outer continental shelf to drilling, the Interior Department removed Florida from the plan following opposition from the state’s governor. However, the decision sparked protest from a long list of other coastal states, most of which are against drilling in their waters as well. The opposition spanned both political parties, and numerous states requested their territories be removed from the drilling plan. The decision by the Interior to remove Florida also raises legal risks for the drilling plan as a whole because it could be deemed “arbitrary and capricious.” The five-year drilling plan will take several years to finalize. New York City sues oil majors. New York City announced its decision to sue five oil majors this week – ExxonMobil (NYSE: XOM), Chevron (NYSE: CVX), Royal Dutch Shell (NYSE: RDS.A), ConocoPhillips (NYSE: COP) and BP (NYSE: BP) – over their role in climate change as well as their alleged misinformation campaign to obscure information to the public. The oil majors dismissed the suit, with Chevron calling it “factually and legally meritless.” New York also said that it would begin steps to divest its pension fund of fossil fuel investments. The city faces an uphill battle winning in court, but it is the latest front on which the oil majors need to defend. India’s oil demand grows, but slowly. India’s oil demand grew at its slowest pace in four years in 2017 at only 2.3 percent. Slower car sales, new taxes, and a campaign by the central bank to remove certain currency notes hit retail and wholesale markets – these factors weighed on India’s fuel consumption. India has long been billed as one of the most important growth markets for global oil demand, but it continues to lag behind expectations. ExxonMobil makes sixth oil discovery in Guyana. ExxonMobil (NYSE: XOM) has fast-tracked development of its huge oil discovery off the coast of Guyana, and it continues to find new oil reserves there. This week, Exxon said it made a sixth oil discovery in the Stabroek block, boosting recoverable reserves to an estimated 3.2 billion barrels of oil equivalent. Production is expected to begin in 2020, with initial output at 100,000 to 120,000 bpd. A $70/barrel is not the ceiling for the oil price. It is the floor for 2018. A fair price for oil is $100-$130/barrel. Such a price is good for he global economy and I will explain why. The three biggest chunks in the global economy are the economies of the oil-producing countries, the oil industry and the global investments. The fair price mentioned above enables the oil-producing countries to invest in future exploration and capacity expansion to be able to prevent an incoming oil supply gap in the next three years. The major oil companies need a price of $125-$135/barrel to balance their books and to invest in new projects. A fair price also enhances global investments. The result is that the global economy benefits greatly.